Desert Smoke BBQ is Committed to combining tangy Carolina BBQ Flavors with BIG, BOLD, Southwestern Spices to create the best Dry Rubs and DIPPIN’ – MOPPIN’ – BBQ Sauces around! Our products are crafted without additives or artificial preservatives using the finest all natural ingredients available. 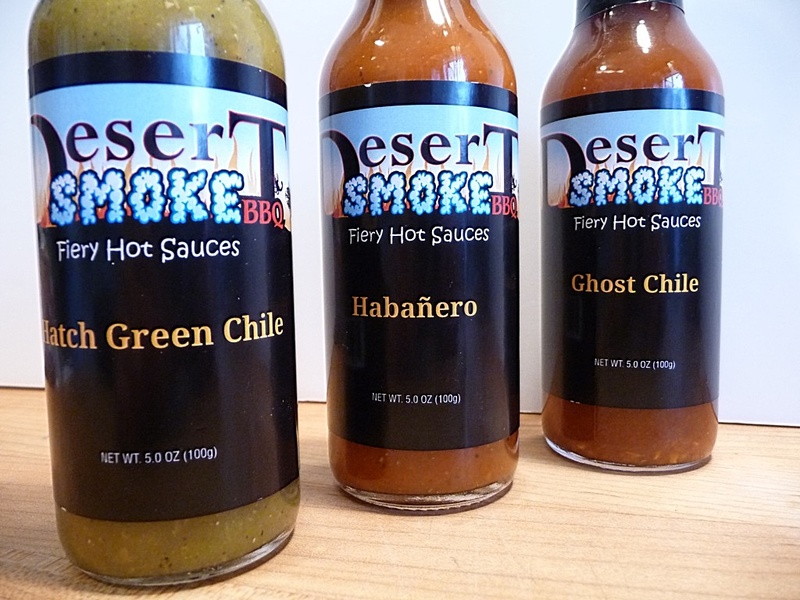 I am sure that your favorite dishes will come alive with a little DESERT SMOKE! That’s a huge statement from a small company that prides itself on ingredients. Let’s see if their hot sauces hold up as well.